This sweet little man visited me all the way from Virginia beach! His mom and him were visiting family members in the area and I am honored they set aside time to come by my studio for his first baby photo session! He was so sweet and dreamy, and I think these pictures are to die for. I love that mom picked a combination of blue and bold yellow for his pictures. If you love my work (check out more of my newborn photography in the galleries on my website) and would like to schedule a newborn session for baby (I book 6 months in advance of the due date! ), please email me at chasingmoments@gmail.com or give me a call at 202-251-6368. 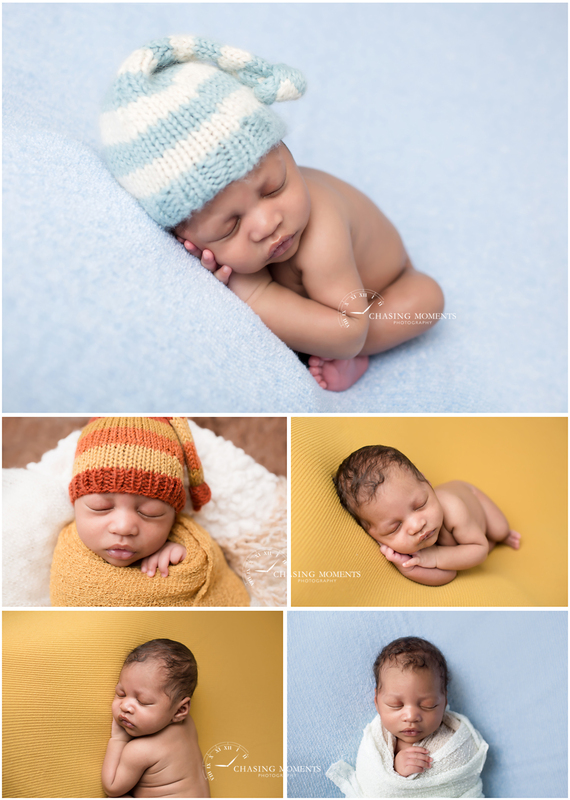 I do all sessions at my Reston photography studio, which is especially geared and set up for newborn photography, and I have all setups, props and accessories there.